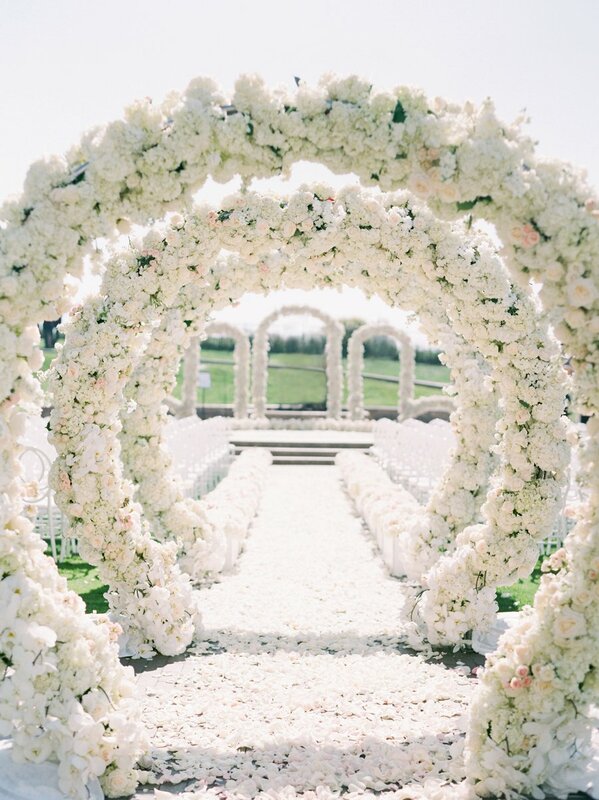 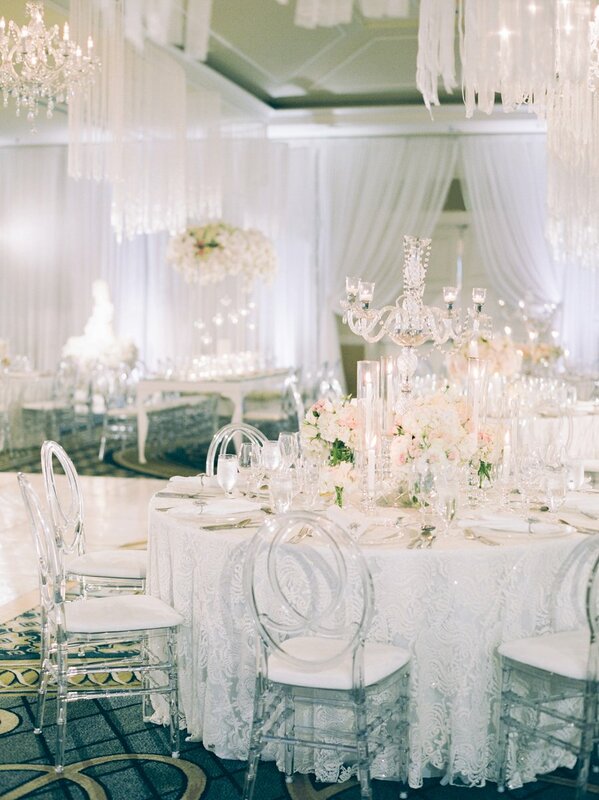 From lush archways creating a floral-filled ceremony aisle, to a chiffon draped ballroom full of bright white florals, beautiful textured linens, silver and mirrored accents, this elegant ballroom wedding was fit for a princess. 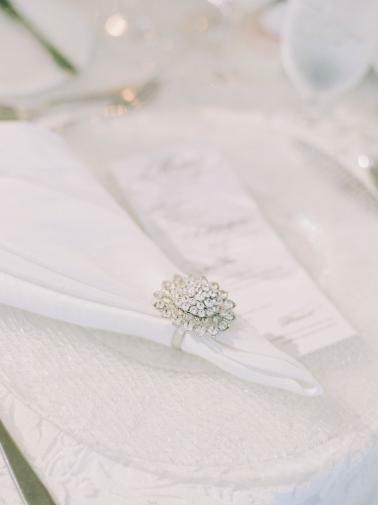 We love how white on white is a stylish, modern and stunning look that is the perfect balance between simplicity and elegance. 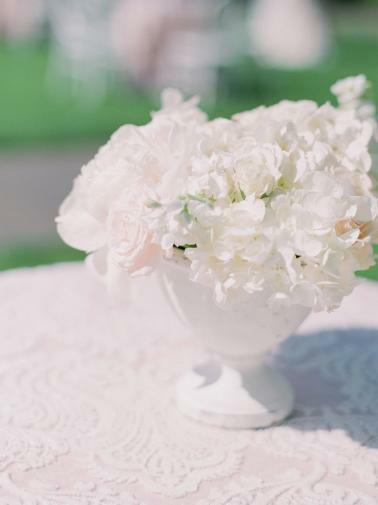 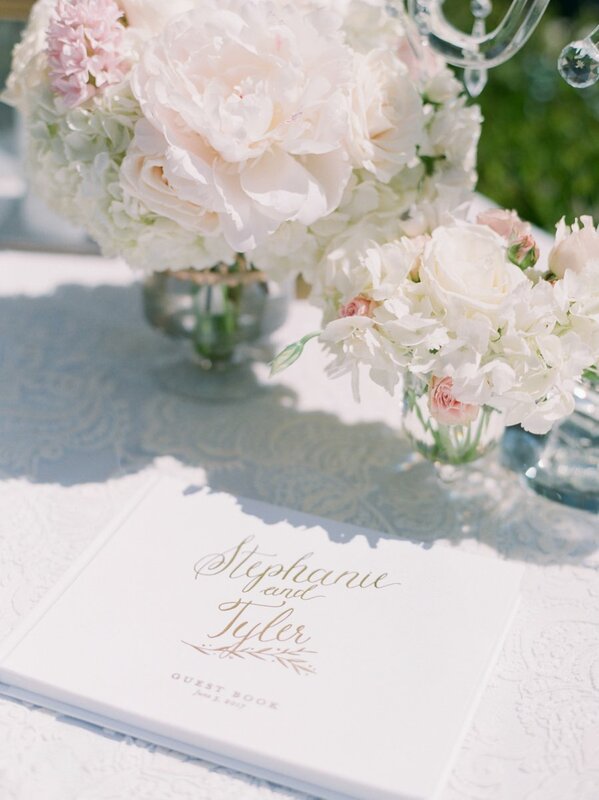 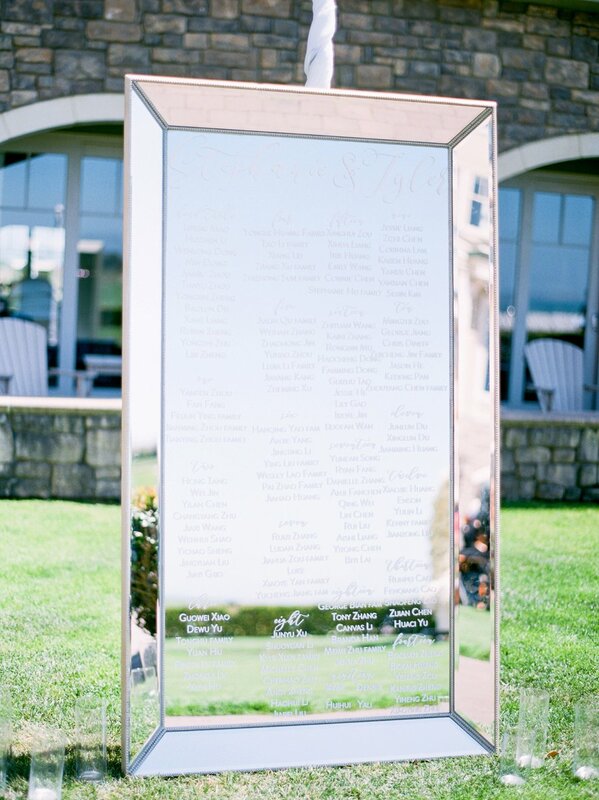 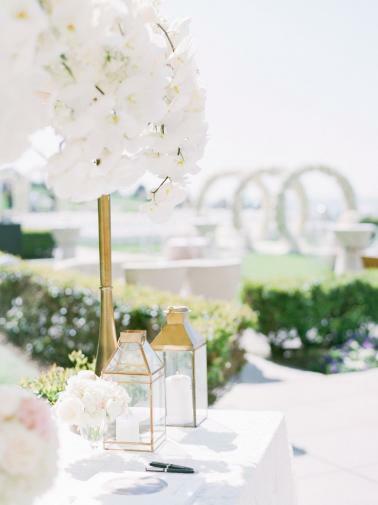 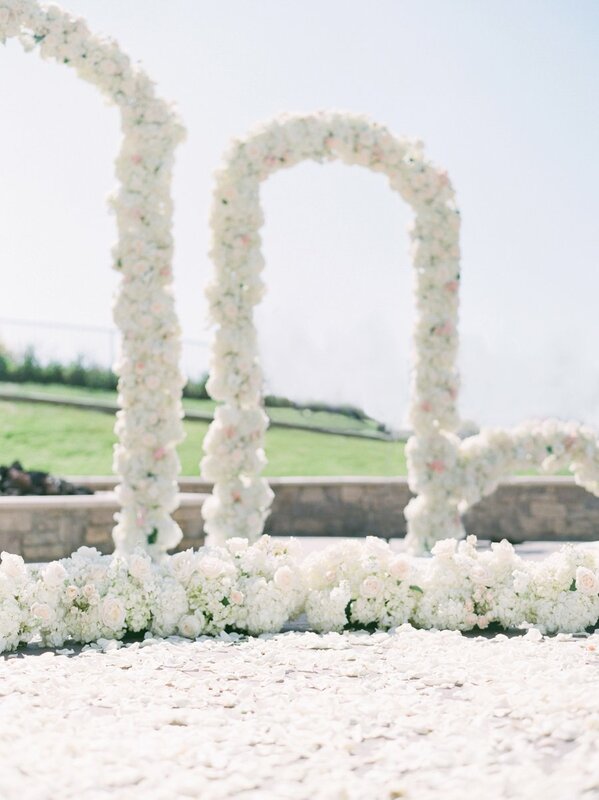 Grouping white decor elements together creates an effortless look that can be used in any season, and we love how, with the guidance of their planner Manna Sun Events, this couple created a stunning day with a luxe style. 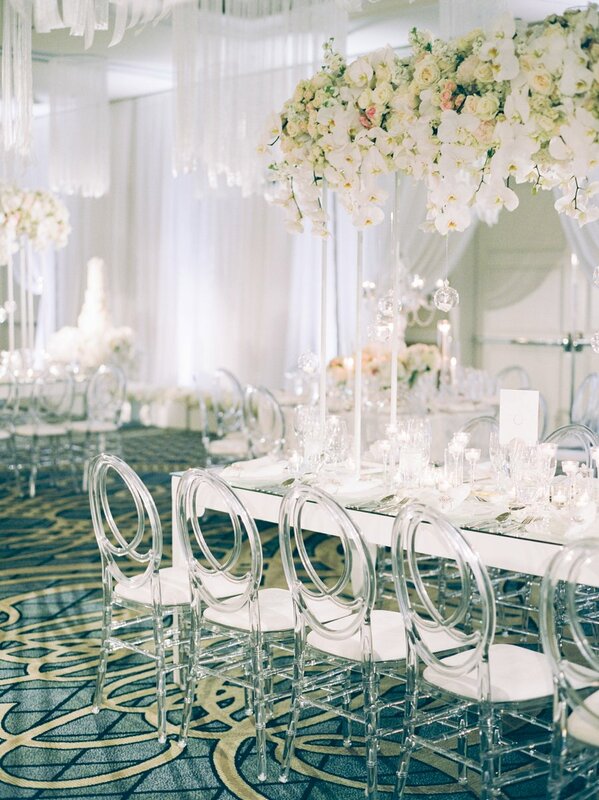 The layers and textures created a beautiful effect in the design of the space. 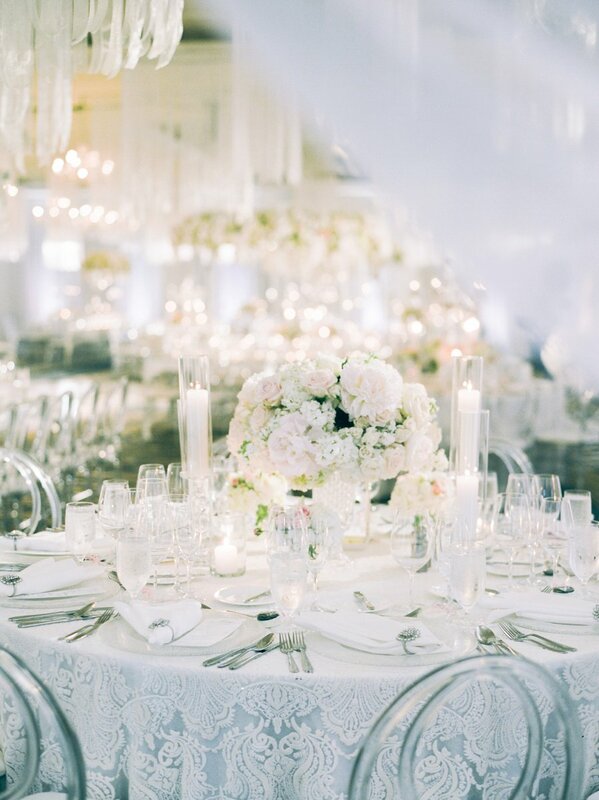 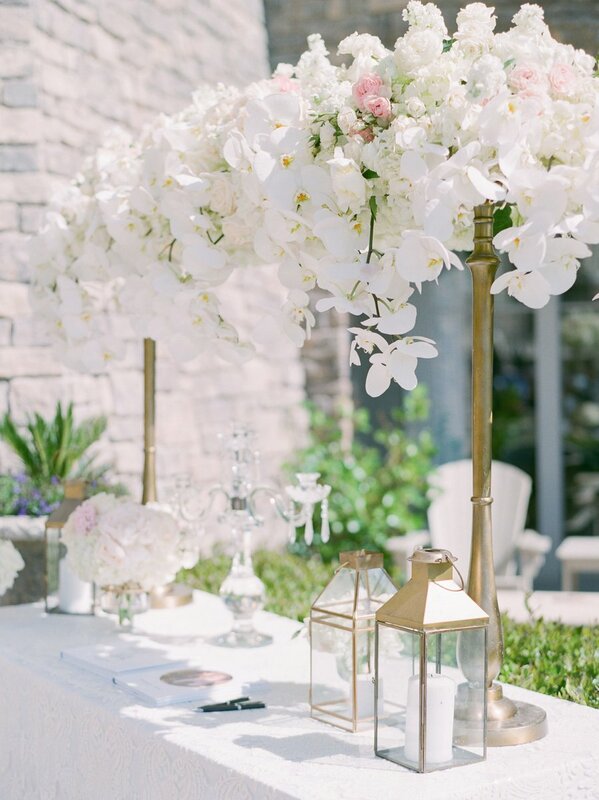 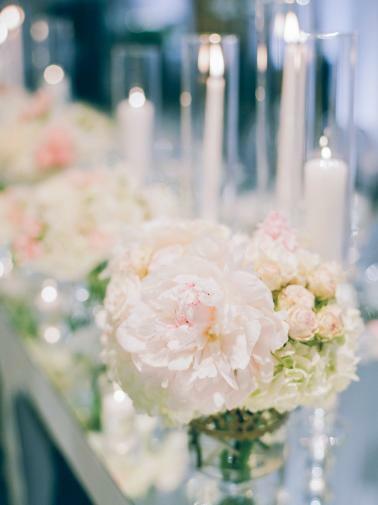 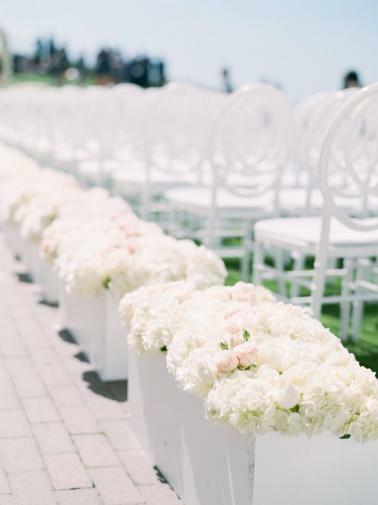 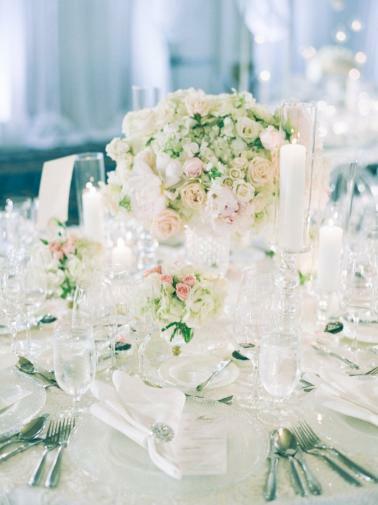 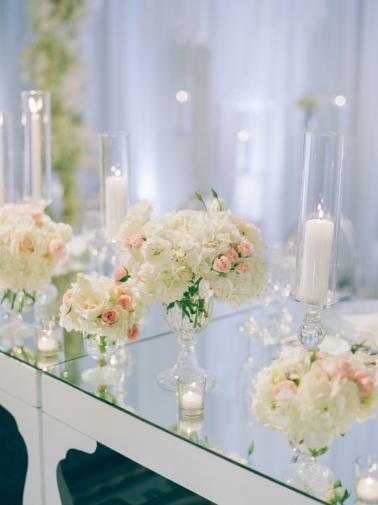 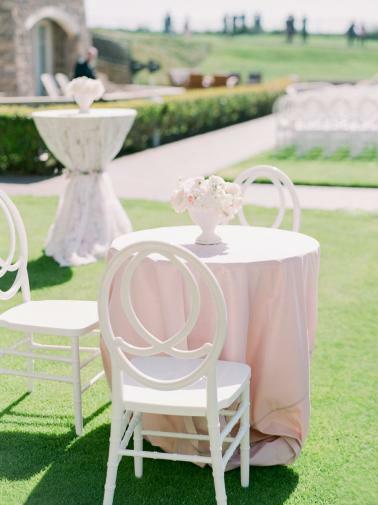 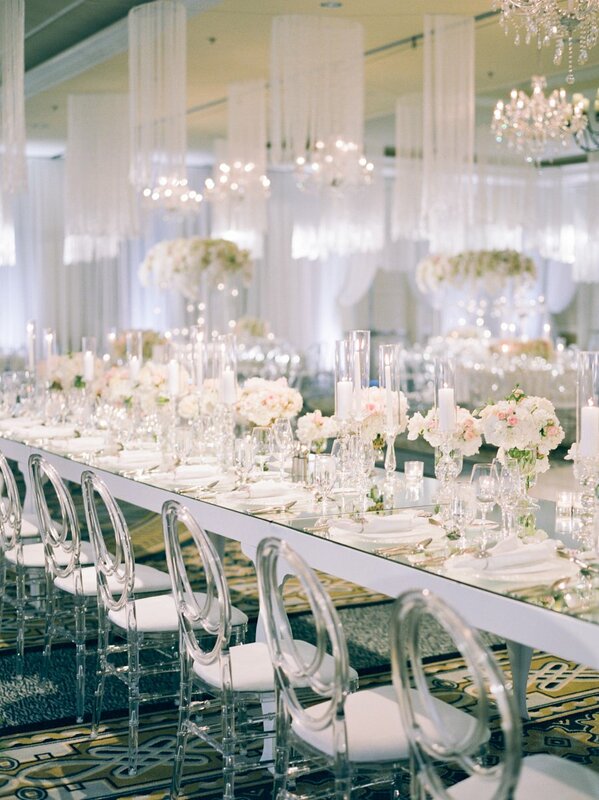 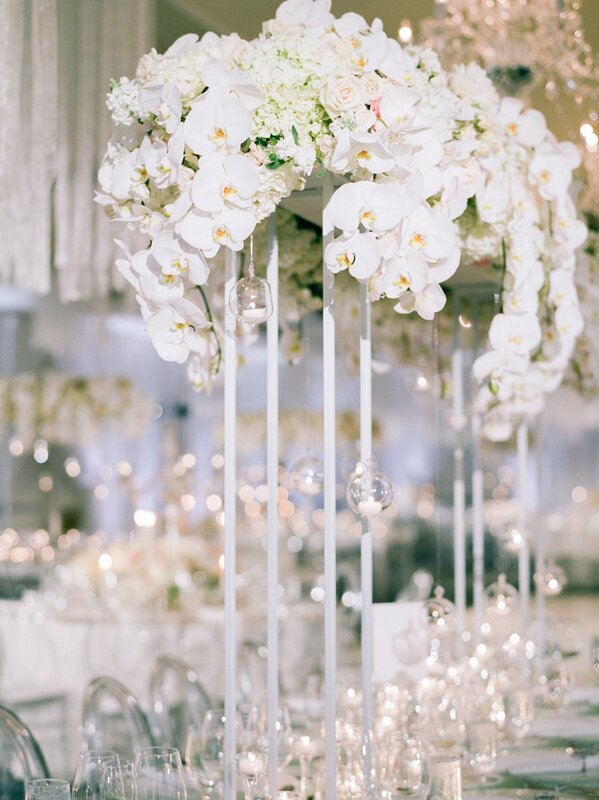 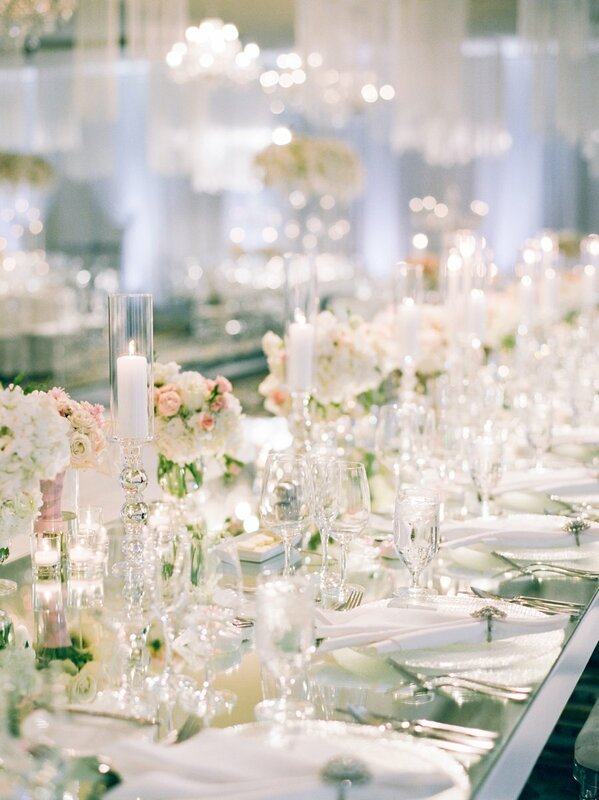 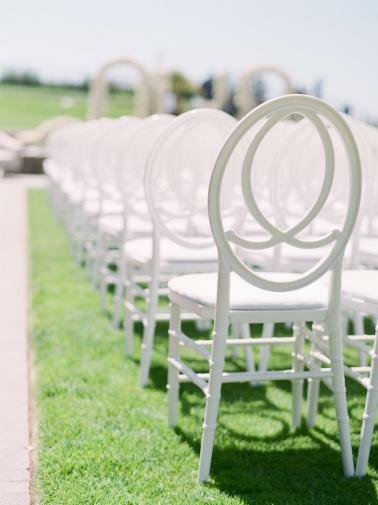 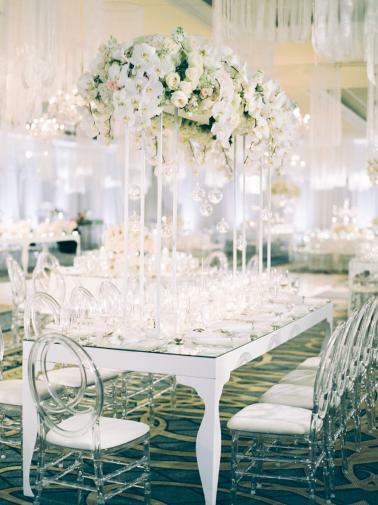 Infinity chairs, crystal chargers, diamond napkin rings, clear candelabras, mirrored dining tables completed the style of modern elegance while the lush florals created by Nicole Ha Design took the design to the next level. 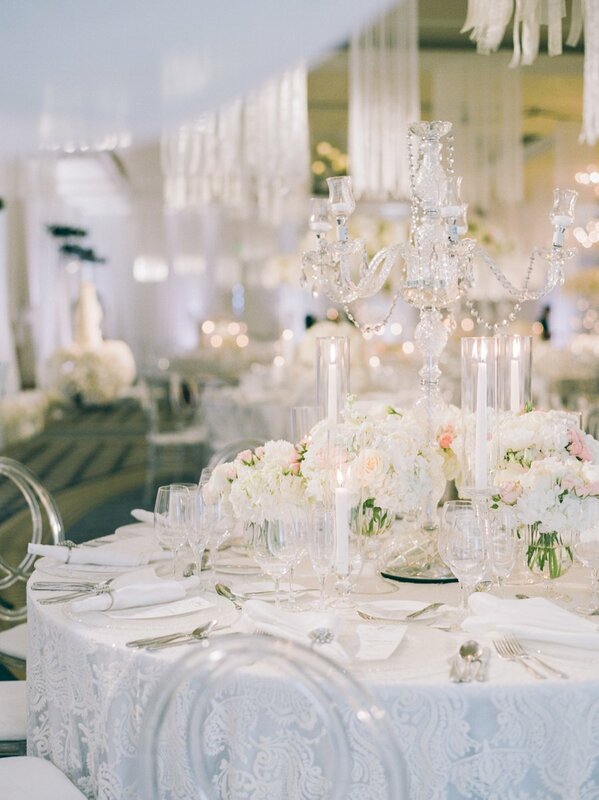 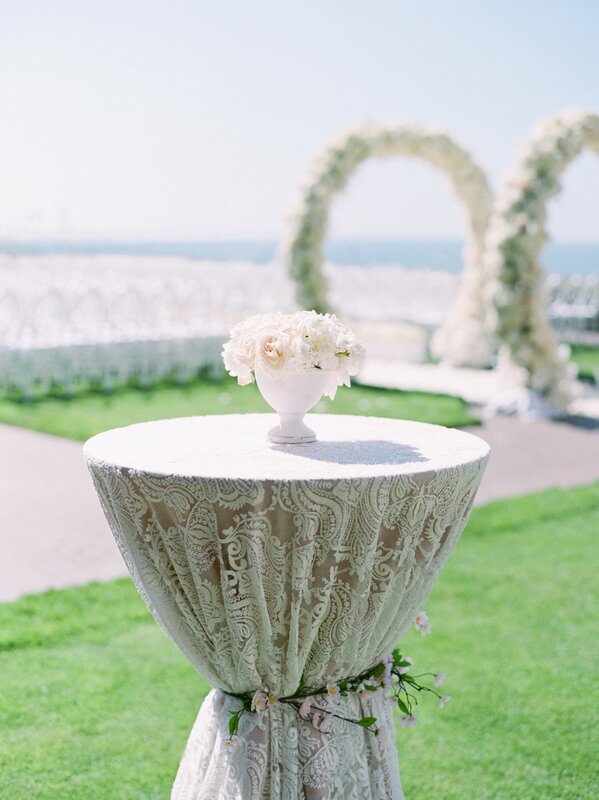 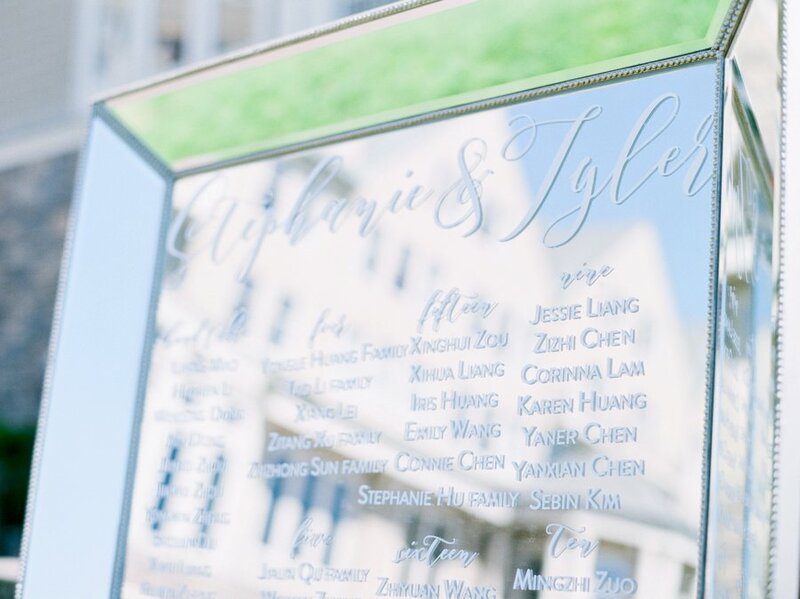 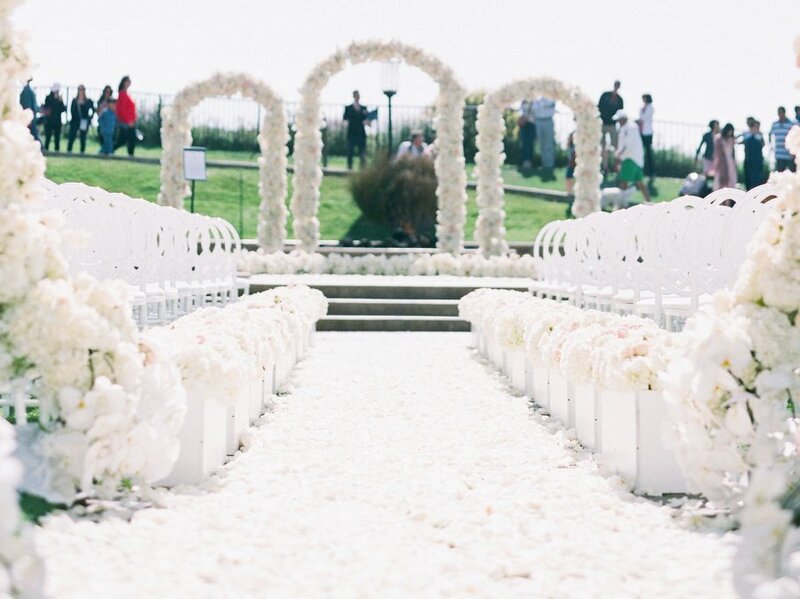 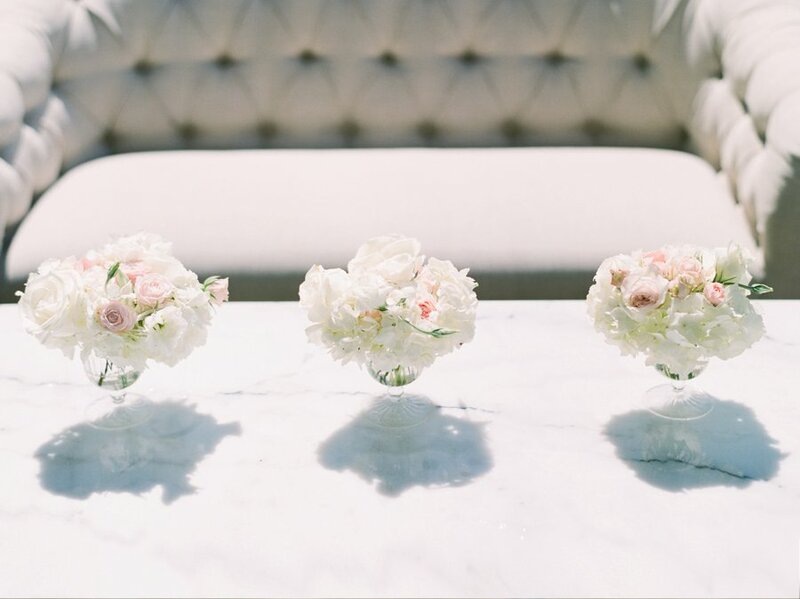 There are so many stunning things about this luxe California ballroom wedding, and we are thrilled to share the beauty that Stella Yang Photography captured! 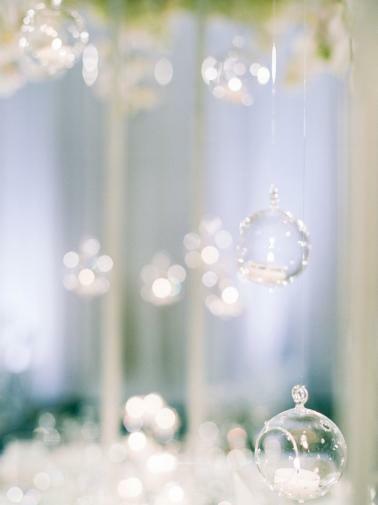 Can we take a minute to ogle this incredible suspended cake? 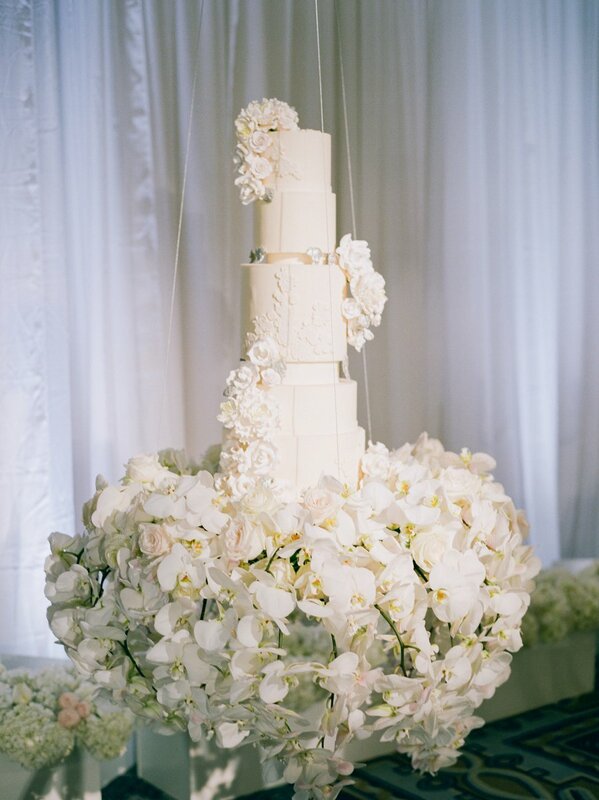 The towering cake by Studio Cake floated on a table of orchids for a unique and modern cake display. 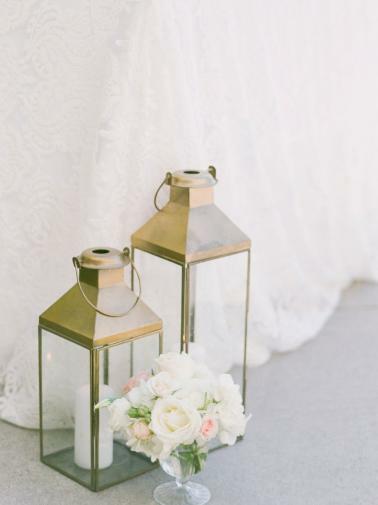 With a simple color palette, the design took shape in an elegant way that layered textures, patterns, and slight variations in tones that we absolutely love!